3. How did your experiences in MEWShop’s Six Week Workshop complement the education you had before you took the workshop? When I attended MEWShop, I was at a turning point in my career. I was living in Memphis, TN at the time and had been editing and producing there for a few years. I decided that I wanted to focus my career on editing, and was looking for ways to expand my network-- either by going to graduate school or moving back to New York or Los Angeles, but I didn’t know exactly what I wanted to do. I did know that I needed to learn Avid if I was going to be in Los Angeles (I was only on FCP 7), and I needed to build a website of my work. I applied for an “Individual Artist Grant" from the Tennessee Arts Commision and used that money to attend the MEW six-week workshop. The decision to take those six weeks out of my day to day life just to focus on the next steps in my career was so incredibly helpful and I am grateful for the step up it gave me in my eventual move to LA. 4. Which film/s originally inspired you to pursue editing? Sherman’s March by Ross McElwee and David Lynch’s Mulholland Drive. 5. What do you think are some personal qualities (in yourself and others) that make editing a natural fit as a career choice? Empathy, patience, a deep understanding of people and psychology, and a strong work ethic. 6. What’s your favorite editing software? Which software do you have the most experience editing with? I had the most experience with FCP 7, it’s what I learned to edit on. Now I work mostly with Premiere Pro CC and I’ve learned to love it, although it still seems like such a young program and has its issues. 7. What is your favorite edited scene of all time? Why? Editing is so often invisible, that this is a hard question for me to answer. My favorite scenes are often the very first shot or scene of a film, where you can really grab an audience by the throat. I love a cold open that perfectly sets a tone for the film you’re about to see and asks the “question” that the film will answer. The cold open of The Trials of Muhammed Ali edited by Aaron Wickenden (my amazing co-editor on Best of Enemies) is a perfect example- it’s surprising, heart-wrenching and so powerful in the first three minutes. 8. What other jobs in the film industry appealed to you? If you had to switch career paths, what would you pick? I also really like producing. I’m a natural “helper” and I often end up with a producing credit on projects that I’m editing because I get so involved with that side of things. 9. What is your current favorite film or television show from an editing perspective? What makes it so compelling? The Knick. The editing is genius, along with everything else Soderbergh does on the show (directing AND cinematography). A one-man-wonder. 10. What was your proudest/happiest/worst (pick one) moment as an editor? My proudest moment as an editor was when I first went to Sundance with a film I edited. It was something I thought I would never get to do, and now I’ve been TWICE! An experience I hope to repeat as much as possible in the future. 11. How do you see the post-production industry evolving over the next decade or so? I’m excited about the possibilities of VR and would love to edit a film in that medium. I have no idea how it works, but would love to learn! 12. 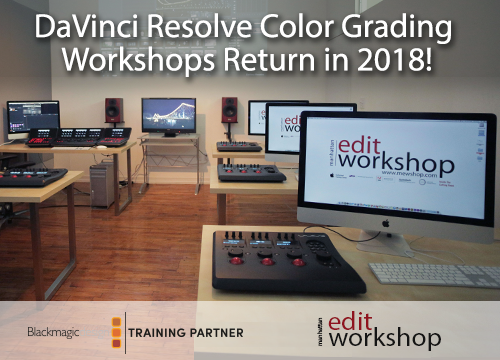 What technological advancements in post-production have affected your work and process the most? The integration of After Effects and Photoshop into Premiere is a great asset. 13. Talk about your most challenging experience as an editor. Every project has it’s challenges, and I think the question is how we learn to work through those challenging moments. When you’re stuck on an idea or a scene, or you are so entrenched in the footage that you lose the audience's perspective…I’ve learned that a change of environment can make all the difference. If I’m stuck on something, I’ll upload it to Dropbox or Vimeo and watch it at a coffee shop on my laptop or in the bathtub on my phone or on the big tv in my living room. You’ll see it a different way each time and new ideas will come. 14. What project/s are you working on now? I’m working on a film about LGBTQ rights in Alabama and I’m about to start on a film about Clive Davis, the legendary music producer. 15. Is there anything you do outside of editing that has helped you sharpen your storytelling skills? Lately I’ve been reading books about screenwriting and story construction. I never had a real formal narrative education, so I’m working backwards and learning all the rules now. Manhattan Edit Workshop Instructor Ari Feldman shows how to import footage from a hard drive in the latest version of Apple's Final Cut Pro X.
MEWShop Owner Josh Apter Interviewed on Forbes.com about the Padcaster! Say hello to the future of filmmaking — on an iPad or smartphone. A small bootstrapped startup is now selling an aluminum and urethane contraption on the Apple Store that can turn any iPad into a movie-making machine. Since DSLR cameras start at $500 (for a very basic kit) and lenses alone can run upwards of $10,000, filmmaking can be an expensive hobby. That’s why Josh Apter, a filmmaker and founder of the Manhattan Edit Workshop, created the Padcaster. “I literally took my iPad to a framing store and had it framed like a picture,” he says. In editing Jim Shoe from writer-director Pete Sutton, Clark faced pushback from post-production and industry peers in his choice to cut in FCPX. Amid a series of major studio releases also cut with the controversial program — Focus and Whiskey Foxtrot Tango among them — Clark remains steadfast in his adherence to FCPX, citing the ease of working with the system. It’s worth pointing out that Clark is no stranger to doing things the hard way. As a bioarchaeologist, he received a Smithsonian Institute Fellowship after discovering a biological link between poor early growth and lifespan in the immune and neural systems, and earned a Ph.D from UMass Amherst. He segued into writing screenplays, earning a master’s degree in screenwriting from AFI, and eventually into editing. As one of a minority of editors working primarily on FCPX, his work has spanned both documentary and narrative projects, but he sees few major dissimilarities between the two genres. “With a documentary, the main difference is that you sometimes don’t see what the story is until you’ve finished shooting,” he says. “You see the thread come together right in front of your eyes.” Clark served as a longtime editor, producer, and cinematographer on the documentary series Hooked on the Fly, which followed fly fishers through the ups and downs of their sport from Alaska to New Zealand. Clark cut all of Hooked on FCP7, citing the program’s organizational capacity, magnetic timeline, and the ease of its many shortcuts as upsides. “They take some getting used to,” he says. “It does have automated features, but you do have manual control as well.” He finds the FCPX interface and process to be faster and more intuitive than editing in FCP7. With Jim Shoe, Clark worked with two 12-terabyte drives to organize his footage on his Mac Pro, as well as two 40-inch 4K displays. The film, which follows four attorneys competing for a partner slot through assigned, competitive pro bono work, clocked in at nearly nine terabytes as a finished project. 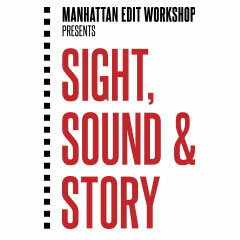 Through editing the film, Clark didn’t use keyword collections. “You have to come up with a much more intuitive way of organizing material,” he says. “I used keywords on a few things, to make sure I didn’t bypass certain formulas, but realized I really don’t need it.” Instead, he organized files by scene, by take, and by camera angle, then created multiple projects for each scene to provide options for the director. “One of the things I find helpful is having an MFA in screenwriting,” he says. “The editor isn’t just thinking about the cut, but you’re also thinking about story in a very deep way.” His background as both an editor and a serious writer gave him insight into editing alongside writer-director Pete Sutton, whose attachment to the material required some negotiation on certain cuts.